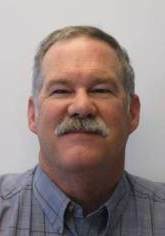 By Robert D. Davidson, Ph.D.
Summary: This presentation will help consultants, growers and other practitioners in the U.S. and Canada learn about the basics of seed potato certification. Specifically, in this presentation, the basis for seed potato certification and the current process being followed will be described. Additionally, discussion will center on which diseases and conditions are the focus of inspections and how these problems are managed, or not, through the use of clean, high quality seed potatoes. Finally, viewers will learn the certification process and what the use of clean seed means for other seed growers and the commercial industry.